Whether you live alone or with a partner there are some things every woman should be able to do for herself, from changing a tyre to wiring a plug. This is a guide to essential DIY skills with tricks from the experts. Practise changing to your spare tyre before you hit the road so you’re not trying it for the first time under pressure. Professionals may use a machine to tighten the nuts making it difficult to loosen them by hand. When you get your car back from a service check the nuts aren’t too tight so you don’t get a nasty surprise later. Once you have switched to your spare tyre visit a mechanic quickly. Your spare tyre is not designed for long distances — it’s there to make sure you can get your flat tyre repaired or replaced in safety. Changing a flat tyre is not the only basic car maintenance skill a woman should have: the AA has a list of 10 basic maintenance checks to perform on your car regularly, including checking your tyre pressure, engine oil, lights and water. If you don’t own a pair of wire strippers you can use a pair of scissors instead. Carefully score the plastic covering all the way around, taking care not to nick the internal wires, then pull the covering off by hand. If you are replacing the plug on an old appliance the colours of the wires may not match the ones shown in the tutorial. Connect the old green wire to the earth, the old red to live and the old black to neutral. Generally it is safe to change EU appliances to U.K. plugs but that is not the case with every country. Some countries use a lower standard voltage with their appliances than the U.K., in which case plugging such an appliance into an outlet with a higher current could be dangerous. If you are not sure it is best to contact the appliance manufacturer before wiring it to a different kind of plug. Changing a fuse is an essential DIY skill as it is simple to do and could save you a lot of time and money. A faulty fuse is often to blame for an appliance (anything from a table lamp to a toaster) suddenly not working so it’s good to know how to replace one. 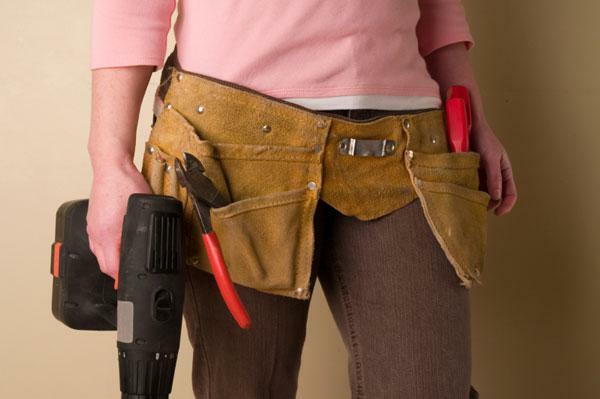 Power tools can appear intimidating but an electric drill is essential if you want to be able to hang your own pictures, put up shelves and perform countless other home-improvement tasks. The tutorial below will show you the basics (and don’t worry that it’s from the U.S. — your drill will work in the same way). While a cordless drill is convenient it is not as powerful as a corded drill for using on harder materials, such as brick and concrete. If you only want to spend money on one drill it might be a better idea to invest in a corded drill, which will work on all surfaces. As explained in the tutorial, you will need a specific drill bit to use on different materials, like a chef using different knives to cut up different types of ingredients. The size of your bit will depend on the size of whatever it is you need to make the hole for. When you buy a new drill it may come with some bits to get you started but, before you start a project, you will need to check you have the right type and size of drill bit. Ask at your local ironmongers or hardware shop if you are unsure which to use. Drilling into masonry can be hard work and it sometimes takes a while for the drill bit to “bite” and start drilling. If you’re making holes in concrete walls make sure you keep a steady hand in the beginning to prevent the drill from straying and damaging the wall. Before you begin, look carefully at your barbecue: it should have two metal grills to be placed at different levels within the drum. The smaller one will go in first. Place your charcoal on top of the first grill, as in the tutorial. You can use a lighting fluid or gel (like the one in the video) or firelighter bricks, which you can break up into smaller pieces to place all around your charcoal. Another tip is to place your newspaper (or whatever kindling you’re using) underneath the rack with the charcoal on it so that, when you light the paper underneath, it helps the charcoal to catch and also burns any residue from your previous barbecue off the grill. You’ll place your meat or skewers on top of the larger grill, which goes over the hot coals. Don’t be tempted to start cooking while the flames are still high — your food will be burnt on the outside and raw inside. A good rule is if you can’t hold your hand 3 inches above the grill for 10 seconds without pulling it away it’s still too hot to cook.